regardless of which one you happen to be using at the time, you will have the same editing toolsets across all of them. The new builds are hitting the Google Play Store now and for those who have the apps installed your Android devices, you should see the OTA updates over the course over the next few days. For those of you who don’t have them installed, you can download them from the Play Store. 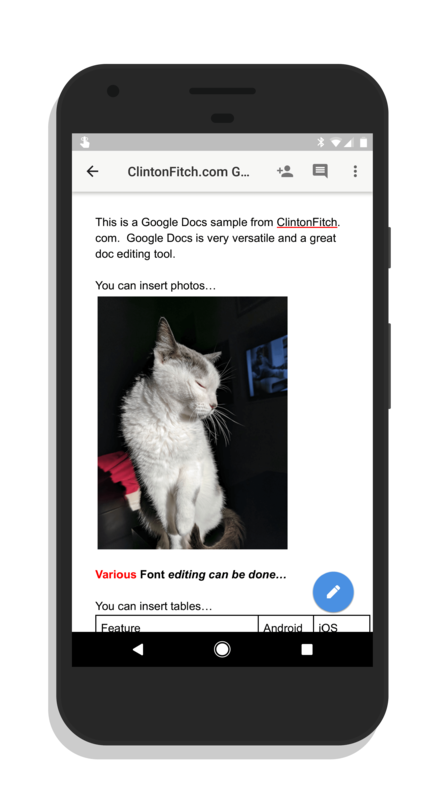 Keep in mind that the apps leverage Google Drive for storage and if you store files in the native Docs, Sheets and Slides format, they do not count against your Drive quota. You can edit Microsoft Excel, Word and PowerPoint documents with these apps too (although not all features are available).